PostgreSQL (fun fact: pronounced as “post-gress-Q-L”) is an open source relational database management system (DBMS) developed by a worldwide team of volunteers. PostgreSQL, just like any other open source software, is not controlled by any corporation or other private entity. The source code for PostgreSQL is available for free for anyone. 2. 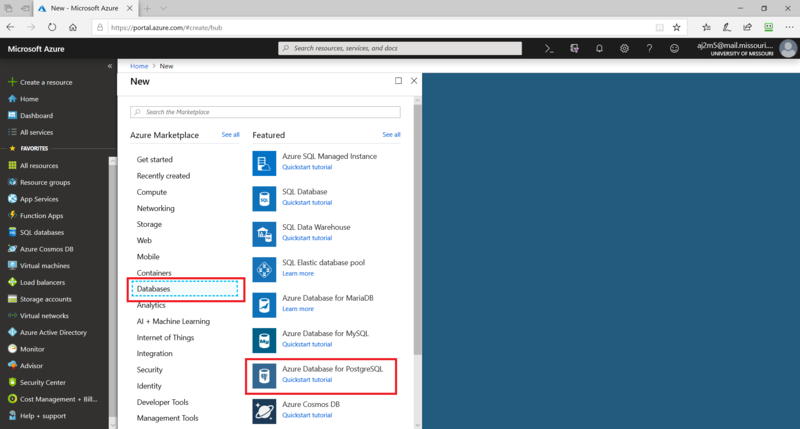 Select “Databases” and click on “Azure Database for PostgreSQL”. 3. The portal will provide you with a screen to enter details regarding the database to be created. 7. Select a source for the database – blank database, sample data set from Microsoft (good old AdventureWorks), or backup that you may have created previously. 8. Select a location for your server to be hosted. This can be based on where the majority of your transactions are going to be from. 9. 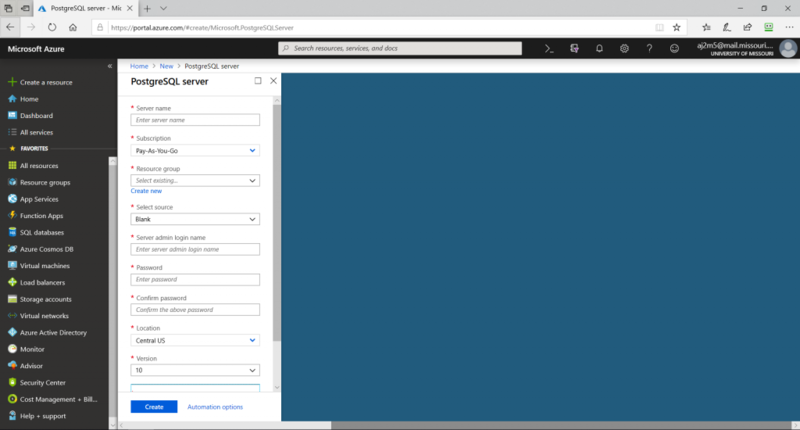 Azure also gives you an option to select the PostgreSQL version you want to deploy. Select the version you would like to deploy. 10. Finally, select a Pricing tier for the database. You can choose the number of cores based on the compute power your database needs. 12. Azure will start working on the deployment. 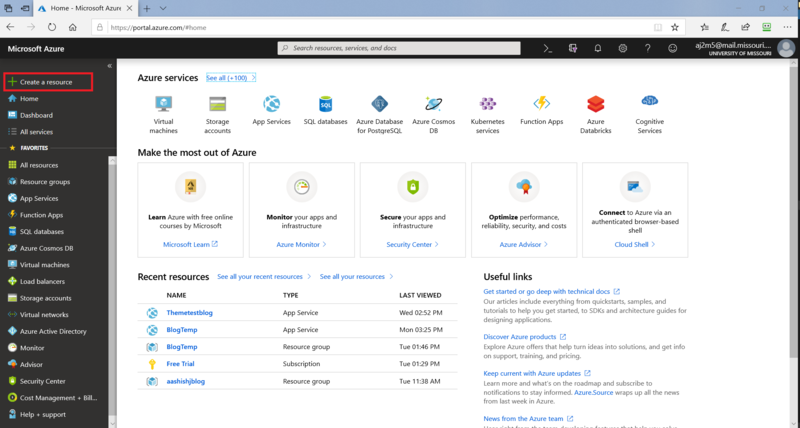 To read more about how to use Azure PostgreSQL, visit Microsoft’s tutorial.